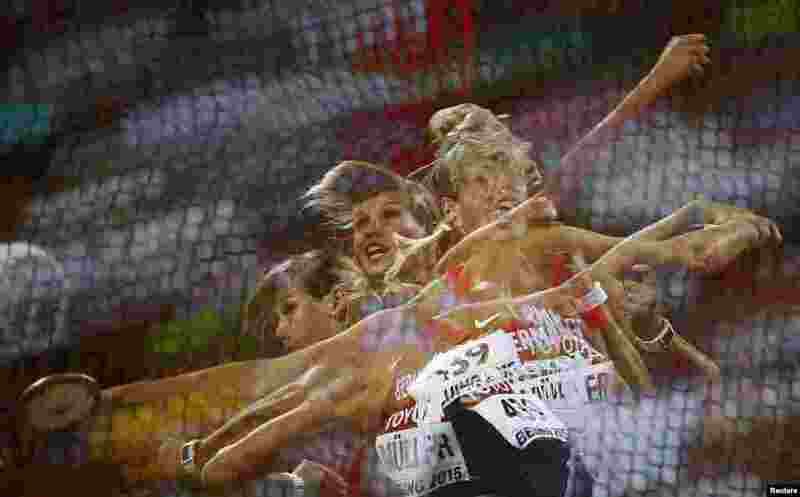 1 Nadine Mueller of Germany competes to win bronze in the women's discus throw final during the 15th IAAF World Championships at the National Stadium in Beijing, China. 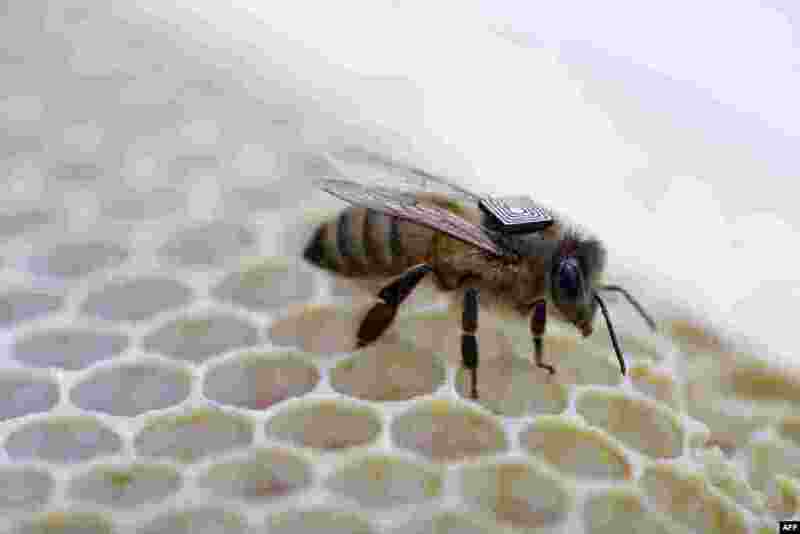 2 This handout picture released by Australia's national science agency the Commonwealth Scientific and Industrial Research Organisation (CSIRO) shows a micro-sensor glued onto the back of a honey bee to understand the key factors driving a worldwide population decline of the pollinators. 3 Wife of Laxman Neupane, one of the police officers killed in clashes in western Nepal, mourns after his body was brought to Kathmandu. Ethnic protesters, demanding statehood, attacked police with spears and knives in Tikapur, 400 kilometers (250 miles) west of the capital. 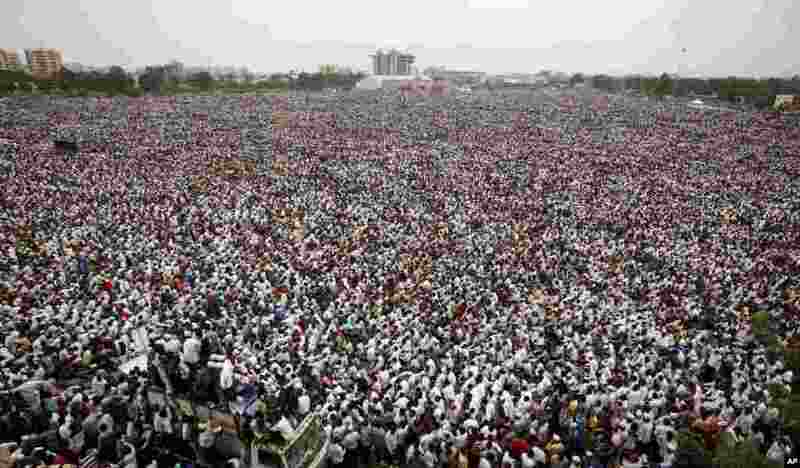 4 Tens of thousands of protesters from Gujarat’s Patel community participate in a rally in Ahmadabad, India, demanding affirmative action for better access to education and employment.